When I started this blog I knew I would have difficulty posting at regular intervals – time is a major constraint – I had the choice of going ahead with the blog no matter how irregular I am with my posts or drop the idea altogether. I chose the former, as it was always my dream to have this blog, so here I am after a long interval. As I had indicated in my last post, I am now going to focus on some of my father's colour films. In this post I will talk about Choti Si Mulaqat and Choti Bahu both of which were based on Bengali novels. Those were the days when films were based on novels and short stories. The story was the king, the stars were not superior to the story. You could relate to the characters, and the dialogues often found an echo in your own heart. Watching a particular character in such films, you may have found a reflection of someone you know or had known at some point in your life. CSM was Uttam Kumar’s first Hindi film; it was also produced by him and directed by his close friend Alo Sircar. Before this film he had received several offers from Hindi film producers, one of the most important being Raj Kapoor’s Sangam; Raj Kapoor offered him Rajendra Kumar’s role, Uttam turned it down, from what I had heard he was not comfortable with the idea of playing second fiddle to Raj Kapoor and besides, he wasn’t too confident about venturing into Hindi films at that time. Later on however for some reason he decided to produce CSM (there are several stories about how he ended up producing the film). I think with this film all his earlier anxieties of venturing into Hindi films were proved right. Back then Bengali films were far more sedate in comparison to Hindi films. They were more close to reality and less melodramatic, nowadays of course Bengali films are quite similar to Hindi films. CSM was melodramatic and besides that Uttam Kumar also felt uncomfortable lip-synching to boisterous Mohammed Rafi songs (he mentioned this to my father). Uttam Kumar was a singer in real life, in fact the story goes that he and his wife fell in love with each other when he used to teach her to sing and yet he found it difficult to enact the song and dance sequences. I guess that was because he was not used to doing such boisterous song and dance sequences in Bengali films. CSM was based on a story by celebrated Bengali writer Ashapurna Devi many of whose novels have been made into films, not just Bengali or Hindi films, but many south Indian films have also been made based on her novels. Most of her novels focused on problems of women in a male dominated society, Agni Pariksha on which CSM was based, focused on the emotional problems that result from child marriage. The story might seem odd in this day and age but it was written at a different time. 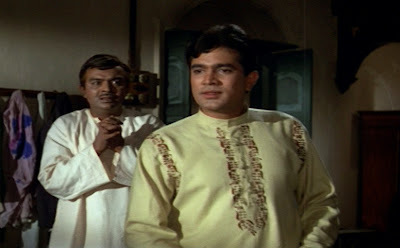 The Bengali version also starred Uttam Kumar with Suchitra Sen.
Shankar’s daughter Roopa (Yogita Bali as a child artiste), who is just a child without the knowledge of her parents. Roopa's mother wiping off the sindoor. Roopa’s mother (Veena) is livid, she decides to pretend the marriage never happened. Years pass by, Roopa (Vyjantimala) is grown up and falls in love with Ashok (Uttam Kumar) but now her past comes back to haunt her. The film flopped but for my father it was a nice experience, he shot quite a few scenes in Calcutta and what he enjoyed most was the scene where he got to ride the tonga (see clip below). I like to watch my father’s portions over and over again, because this is one of those few films where he is playing a young man and to me his daughter, he does look young and handsome. I find his performance particularly good in the scene (see clip below) where he confronts his mother. I still get moved when I watch his shocked expression when he sees his little girl in bridal attire. 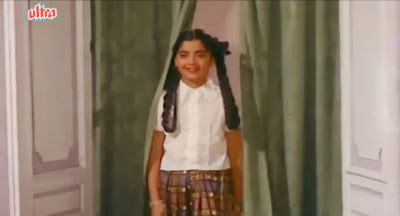 Coincidentally she later went on to do her first film as heroine also with my father, that film was Parde Ke Peechey, she played his younger sister in this film. Initially Sanjeev Kumar was supposed to play the lead opposite Yogita but for some reason Sanjeev Kumar opted out and he was replaced by newcomer Vinod Mehra. This was also Vinod Mehra’s first film as hero. Choti Bahu was based on Sarat Chandra Chatterji’s well-known Bengali novel Bindur Chele (Bindu’s son). This is a wonderful story, Chatterji shows that, despite being a man himself he had a deep understanding of women. However, if you see Choti Bahu, you might wonder what is she talking about? 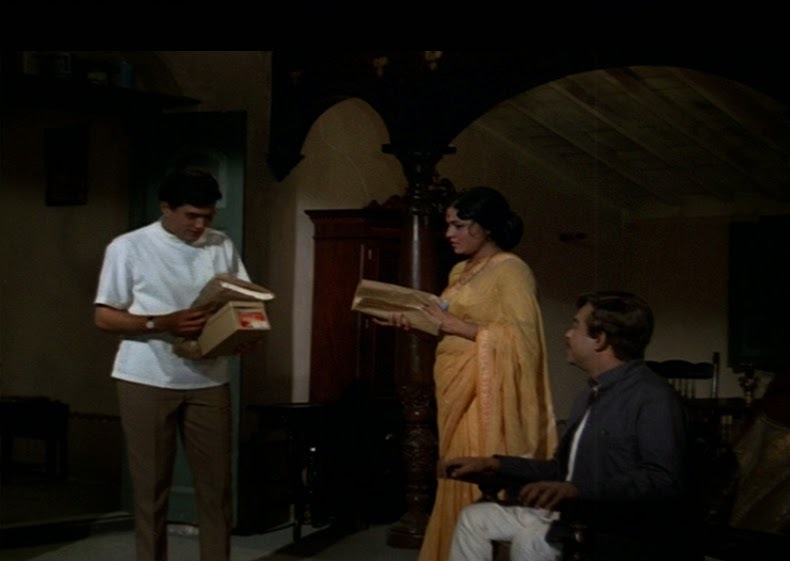 It is an over the top adaptation of Chatterji’s novel with some melodramatic situations – that were definitely not there in the book – and some silly dialogues. Chatterji’s dialogues are what tug at your heartstrings, but in this film the dialogues were such that I ended up laughing out loud at some of the most emotional scenes. In the novel the protagonist’s name is Bindu but in the film she is called Radha (Sharmila Tagore). and Sriram’s sister, along with her jobless husband (I.S.Johar) and their spoilt son Junior Mehmood. The sister soon drives a wedge between the brothers and the sisters-in-law, with some devious tricks which I am sure Sarat Chandra Chatterji would never have dreamt of. His story showed the sister creating problems in a more realistic manner. Besides the script and dialogues, what rankled was that Sharmila Tagore stuck out as a sore thumb in some scenes when she wore her sari Bengali style. It looked odd because the other characters were not in Bengali attire and neither was there any indication that the story was set in Bengal. Besides that, Sharmila Tagore’s nakhras were at their peak and that was a pity because when she puts her mind to it and is not too concerned about her attire, hairdo and dimples, she is capable of some excellent performance. Another irritant was Shashikala who overacted to her heart's content, I really found it painful watching her going over the top. Melodramatic or not the film did not flop, it may not have been a huge hit but it had a decent run at the box-offfice, after all Sharmila and Rajesh were a hit pair then, but they were not the film’s original pair. Initially Saira Banu was signed opposite Rajesh Khanna..The film’s original cast was Rajesh Khanna, Saira Banu, Nirupa Roy and Shubha Khote. Shubha Khote dropped out, I think, because she was expecting a baby. She was replaced by Shashikala. 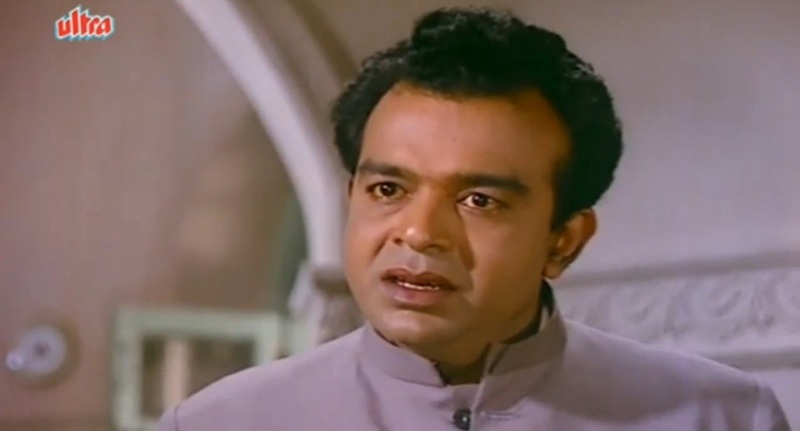 The producers had initially approached my father, but soon got cold feet primarily because this role was quite different from the dominating characters he usually played.They also had the image of Gumnaam playing on their minds, so they went ahead and signed some other actor without informing my father. 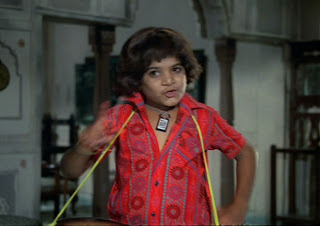 Nirupa Roy had some reservations of acting opposite this other actor for he was shorter than her; she happened to work with this actor in one film in the past and she was not comfortable with the difference in height. She therefore rejected the film, but the producers and the director wanted her to play this role. This role was important and they needed someone who was talented enough to portray the role with conviction. They had no choice and they came right back to my father requesting him to do the film. I was a kid but I still remember that day, I was there when it happened, my father was a little irritated at being replaced so he refused to do the film, but then he softened and decided to accept the film. 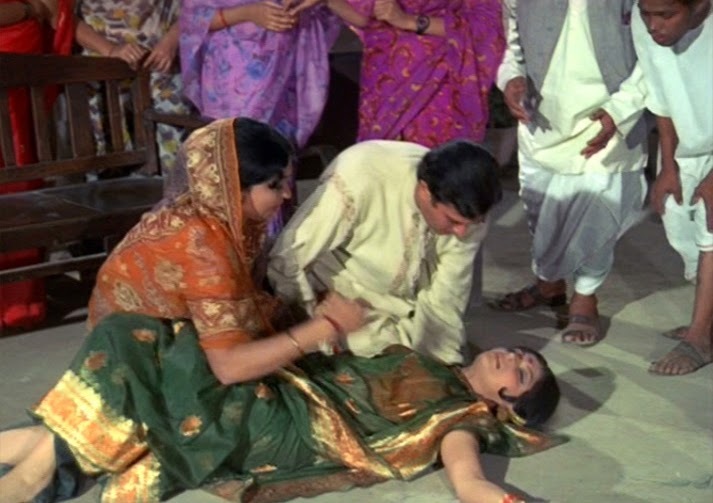 Few days after the film’s shooting commenced and my father had done a few scenes with Saira Banu, she fell seriously ill, as a result the film was held up. After some days Saira Banu thought it prudent to opt out of the film rather than let the producers suffer financial loss. Sharmila Tagore was signed but as luck would have it, she too conceived, she was expecting Saif. The producers had no choice but to wait till chote nawab saab made his entry into the world. However all this delay I think in a way helped, because by this time Sharmila and Rajesh had become a hit pair. with a wife who suffers from a serous ailment, he is unable to defend himself and silently bears the brunt of his fury. The only time he loses his cool is when Radha is on her death bed and he feels it was his wife’s stubborn attitude which has led to this situation. I quite liked to see him as a soft-hearted man, it showed his versatility. Incidentally, those days filmmakers did not have access to high tech equipments so they had to resort to various means to create an effect. My brother has narrated in the comments section of my previous post how the effect of the fog was created in Kohraa, like wise for some scenes towards the end of this film (see below) they wanted a mist. One of the producers managed to get a smoke bomb from someone in the army. I remember this particular scene was being shot close to my home at Mehboob Studios, I do not know what got into me, I wanted to go for this shoot. I normally did not like to see a shooting unless I was compelled to accompany relatives or friends, but I will be honest despite all her nakhras I quite liked Sharmila Tagore's acting, so I wanted to see her perform up close. Coming back to the smoke bomb, when the producer activated the bomb the smoke filled the set, it was a thick smoke and the set had a foul odour, the smoke was so thick that the shooting had to be cancelled for the day. That put paid to my wish of seeing Sharmila perform, I only saw the scenes that you see in the screen shots above. 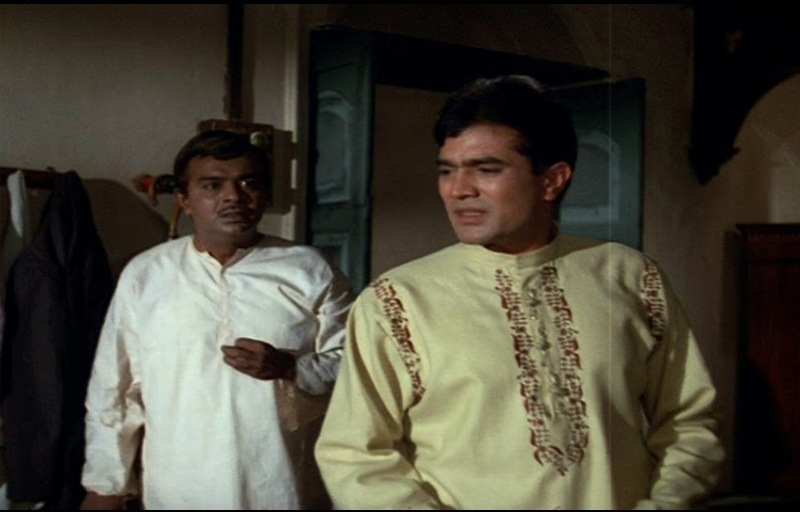 Incidentally, while on this set I noticed that Rajesh Khanna was distinctly uncomfortable, in between giving his shots he went off the set. I later learnt his dhoti was a little short and it was coming off – quite an awkward situation for the poor fellow. Nowadays the well-known Bengali sweet mishti doi or sweet yoghurt is available almost everywhere, but back in those days you had to visit West Bengal to get a taste of it. I and my brother had never tasted this wonderful dish, so my father, who had to shoot in Calcutta for this film, was determined to bring back some mishti doi and other goodies from Calcutta. Uttam Kumar was a thorough gentleman and a wonderful producer, he organized a car especially for my father so that he could shop in peace not only in Calcutta but also outside the city limits for some of the sweets were available only there. I remember my father telling everyone laughingly how he had insisted on keeping the precious pot of yoghurt with him on the flight back home, despite the air-hostess offering to relieve him of the burden. As it was a clay pot my father was afraid it might break or something and he couldn’t trust anyone with his precious ‘cargo’. I remember my father reached home very late at night and I had already fallen asleep, but he was impatient, he did not want to wait till morning, he woke me up and fed me a spoonful of the yoghurt. This was long, long ago, I was quite small but the taste of that yoghurt, that I had almost in my sleep still lingers in my mouth. I have since had some wonderful mishti doi, my brother always brought large quantities of very good quality yoghurt from his official trips to Calcutta, but that first taste and my father’s joy, at finally being able to give us a taste of that yoghurt, is a priceless memory. We have a sort of memento, at least I like to call it that, from CSM. It is a portrait of my father, an oil painting, you can see it in the clip below, my father liked it and wanted to keep it and of course Uttam Kumar did not mind. We still have that portrait with us. Some portions of the film were shot on location in Hyderabad, there were several shooting schedules in Hyderabad. During one such schedule I.S.Johar and my father decided to go for a movie one evening. 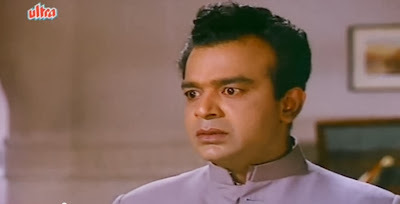 It was an English film, some minutes into the film my father found the film quite boring and was itching to leave but seeing Johar silently watching the film he thought that maybe Johar was enjoying the film, so he decided to sit back and tolerate the film. Unknown to my father, Johar was thinking the same. After seeing about two or three reels of the film, I do not remember who made the first move, but one of them couldn’t help but remark that the film was not up to the mark, the other reacted in surprise, both realized that they had unnecessary sat through the film thinking the other was enjoying it, they both beat a hasty retreat from the cinema hall. One of the film’s Hyderabad schedules coincided with my Christmas vacations, I was terribly upset because I was looking forward to spending some quality time with my father and insisted that we too should accompany him. He agreed to take us. I have some sweet memories of that trip. One enduring memory I have of that trip was of the magnificent palatial house where some scenes between my father and Jairaj were being filmed. This house belonged to some nobleman from the Nizam of Hyderabad’s era. 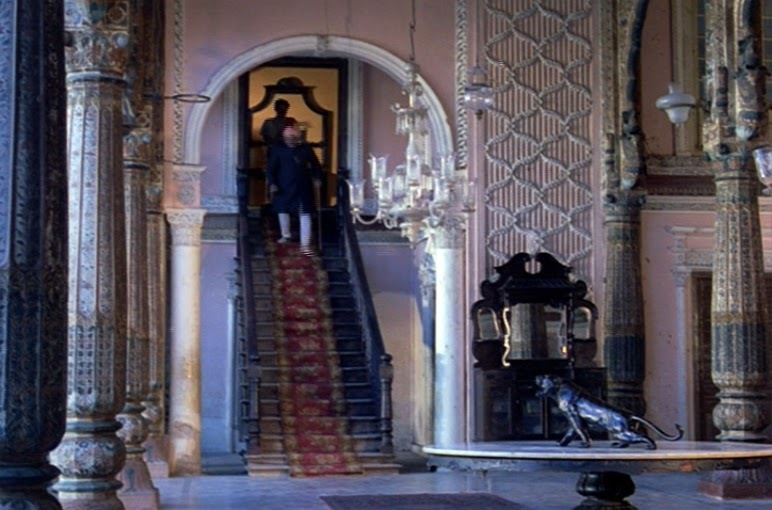 The unit had cleaned up the portion where they were shooting, however barring this portion, the house and its furniture were in terrible shape but you could still see how magnificent it was during the Nizam’s heydays (see the screen shots above). During this trip we had gone out for dinner to this restaurant which was recommended to my father by somebody. I remember our visit, but I have no memory of the food as I was a very fussy eater as a child, my parents though did say the food was good, however, what I do remember was this rather fat lady, who looked like a foreigner but could have been half Indian, was singing rather loudly at this restaurant. My parents wanted a quiet family dinner but thanks to this lady’s loud singing my parents decided to cut short the dinner; if you are wondering why I am narrating a rather mundane incident, well in my next post I will tell you how my father played a prank on Jeetendra and this restaurant was the place where ….. well that I will leave for my next post. Labels: Choti Bahu, Choti si Mulaqat, Rajesh Khanna, Sharmila Tagore Nirupa Roy, Tarun Bose. Wonderful read, as usual, Shilpi. I love your anecdotes and the trivia - and the way you narrate them. I always get to learn something new from your posts. For example, I had no idea it was originally Saira opposite Rajesh. And there's so much more in this post. Just loved reading it. Thank you very much. Thanks Raja and sorry for this delayed response. Every time I write a post I wonder whether it will bore the reader and then I read your comments and I know what my readers want, and that I am on the right track, thank you very much Raja. I've seen Choti si Mulaqat quite a few times, so I know all your father's scenes from it pretty well. And yes, the expression on his face when he sees his little daughter as a bride is superb. Choti Bahu I haven't seen for many years now, so my memories of it are hazy... 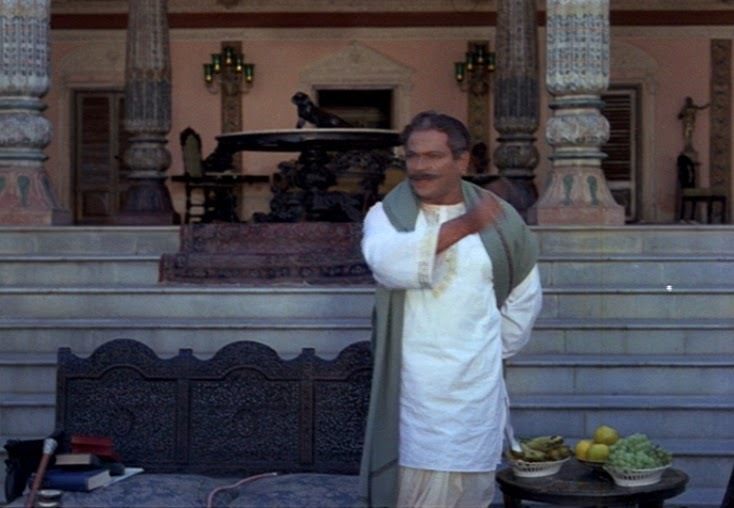 I just remember finding Sharmila Tagore's character far too irritating in that. 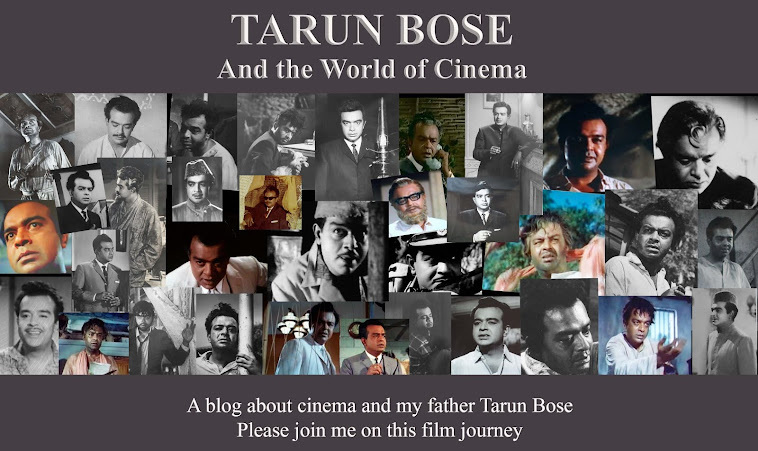 By the way, yesterday someone commented on my blog, saying that if one were to list the most versatile actors in Hindi cinema, Pran and Tarun Bose would be right up there. And I couldn't agree more! Thanks Madhu, like I mentioned to Raja, I wonder whether I am boring everyone with my memories but then all of you respond positively and I know I am on the right track thanks Madhu. Madhu I would love to read that comment could you please direct me to it, on which post was this comment posted?. 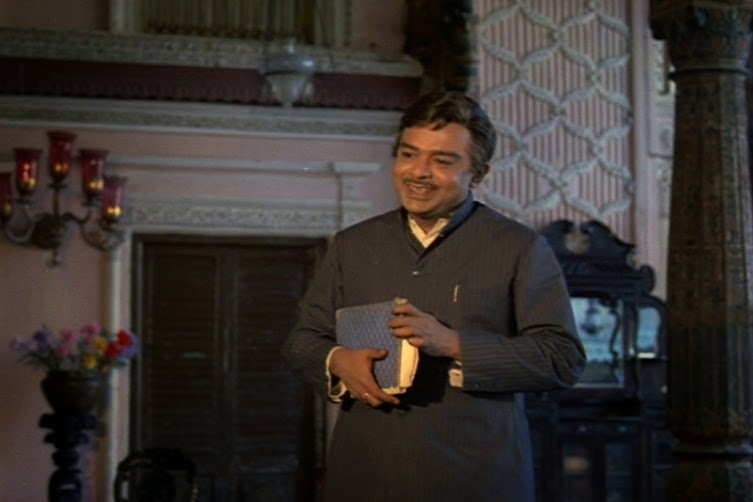 On a comment further down, he says "Absolutely i too just love Pran and Tarunda to bits. I mean both could pull off roles as diverse as Upkar or Victoria No. 203 (Pran), Anupama or Gumnaam (Tarunda) with ease and aplomb." Thanks Madhu, will take a look. The content of this post would go a long way for us to remember these films. Even when we saw CSM first time, in our college days, we could never understand why Uttam Kumar ought to have chosen to lip-sync Rafi's boisterous songs, which typically only Shammi Kapoor could do full justice. SJ had composed a number of serene romantic songs for heroes like Rajendra Kumar and the management of CSM could easily have chosen that model. You are absolutely right, I guess the director was keen to give Uttam a Shammi image, an image totally unsuitable for Uttam but like you said that is all IFs and BUTs. What a wonderful post and we get two posts in fact in one! Very interesting trivia there. Saira Banu and Rajesh Khanna, just imagine! That would have been an unusual pairing! they never acted together, did they? 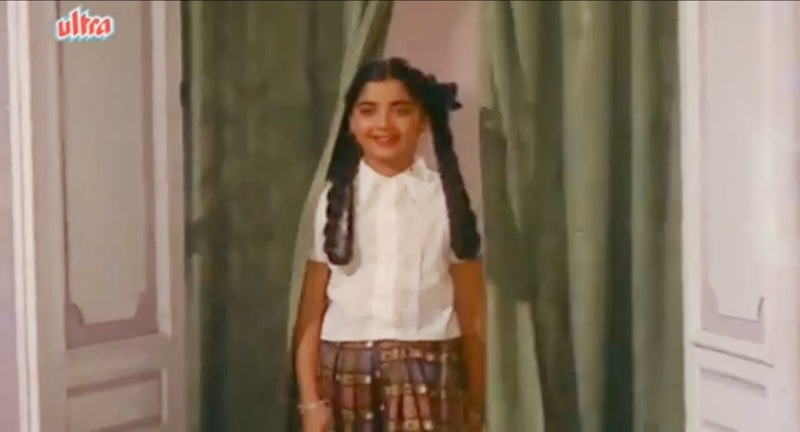 I also didn't know about Yogeeta Bali playing the younger Vyju or for that matter she was a child artist as well. The smoke bomb accident was tragic though! Lovely post, Shilpi! Looking forward to your next post and the amply endoved lady's singing and the restaurant! Thanks Harvey, glad you enjoyed the post. Yes Saira and Rajesh never teamed up again. Yes that lady was quite something and my father's prank was funny too, you will have to wait for a while for that, you know my time constraints. As for the smoke bomb, nothing happened really only there was a thick smoke and the director had to pack up, it wasn't possible to shoot that day. Two things that are in my head after reading the post is how young and cute Yogeeta Bali looks and how handsome your father looks in the clip. I haven't seen either of the films, and think I should make ammends soon. The trivia was as usual very interesting. Sorry you missed watching Sharmila act. Looking forward to your next post, Shilpi, and thanks for this one. Yes wasn't my father handsome? I feel real happy when all of you say you enjoyed the post. As usual I will take a little time over my next post, time constraints and all that. It is nice to come here and read all the trivia associated with the films you write about. I too watched CSM and wondered what the heck Uttam Kumar was doing in it. :) He looked so uncomfortable in the song-and-dance scenes. and is not too concerned about her attire, hairdo and dimples, she is capable of some excellent performance. I don't remember CSM very well, but I do remember your father in Chhoti Bahu - he was so good. 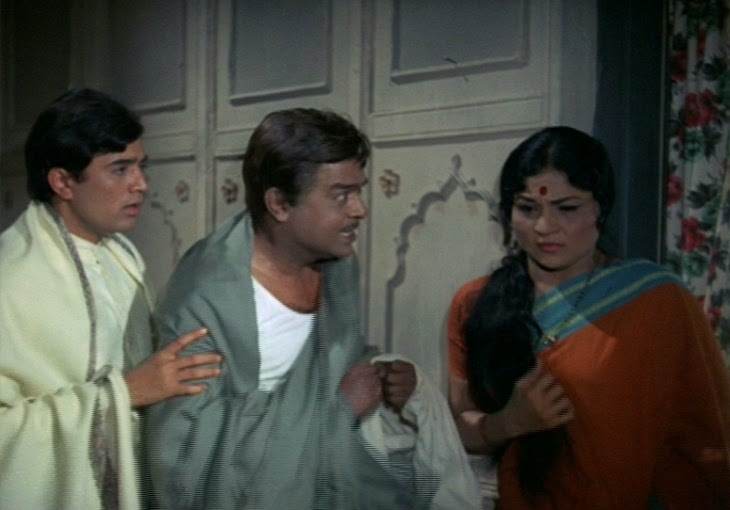 And so was Nirupa Roy - she had a very different role than her usual motherly ones. Welcome back and hope you are feeling fine, right now I am a bit feverish. 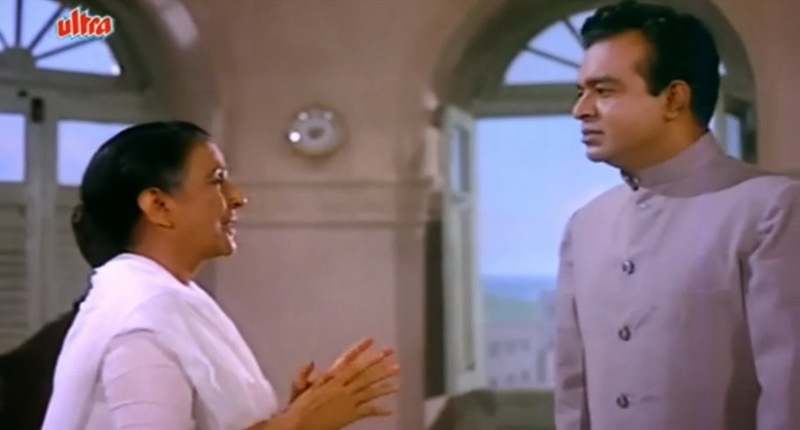 Hrishikesh Mukherjee may have been a hard taskmaster but I think even he had to bow down to her childish nakhras I read somewhere that now that she has aged and is a mature person, she feels a bit embarrassed about her behaviour. The few scenes that my father had in CSM were such that he had the opportunity to perform. BTW, I do not know whether you are aware and whether you had the time to see the clips, I have discovered a new tool, tube chop (www.tubechop.com). It is very useful, you can chop off the scenes you want to share, it can be used only for You Tube, so for the previous post and this one I have been having fun using it. You do not need to say that the scene comes in at so and so. Shilpi , thorughly njoyed after a long time and as usual it was refreshing . Sorry for being so late to comment and not staying in touch, Shilpi ji. Don't know why I was not able to either read your blogs or write my own. Will ensure I spend some time in these pages. From a quick glimpse, its as enjoyable as ever. Thanks and please keep these anecdotes flowing. Glad to see you back here Shashi, glad you enjoyed it, now this blog is nearing its end but yes you can come back and go through it at leisure.